The most expensive work of art by a man is Francis Bacon’s “Three Studies of Lucian Freud” which sold for $142.4 million at auction. This meant that up until last week, the most expensive work by a woman was worth just 8% of the most expensive work by a man. 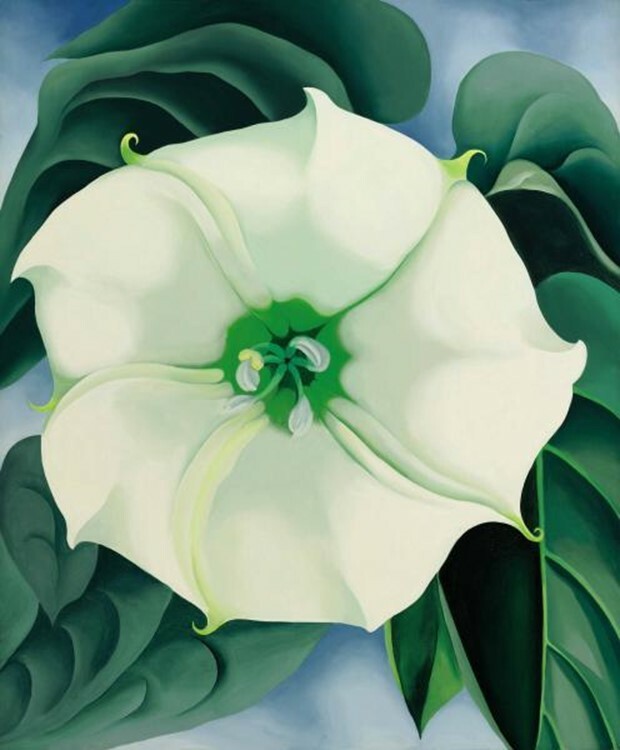 But recently Georgia O’Keeffe’s “Jimson Weed/White Flower No. 1” (pictured) sold for $44.4 million, almost quadrupling the previous record for a woman’s (artistic) touch. Now the “record gender pay gap” is at 31 cents for women, compared to the dollar that a male record holder earns. In contrast in America the standard business gender pay gap is about 84 cents to the dollar. Read about the difficulty of tracking the data, an excellent visualization, and more over here. Capitalism – It’s Good For Growth!